Green Eggs, Ham And Metaphysics: Teaching Hard Ideas With Children's Books : NPR Ed Stories that are great for learning to read can teach all kinds of things — from philosophy to financial literacy. What is language? What is beauty? Who gets to decide? Philosophers have grappled with these questions for centuries, and they've generated a pile of long (and often tortured) books in their efforts to answer them. But for Tom Wartenberg, some of the best books about philosophy are much shorter and a lot more colorful: Frog and Toad Are Friends. Horton Hears a Who! The Paper Bag Princess. Every spring at Mt. Holyoke College in South Hadley, Mass., Wartenberg offers Philosophy 280: Philosophy for Children. Once a week, he loads his students into a bus and drives them to the Martin Luther King, Jr. Charter School of Excellence in nearby Springfield. There, with some help from Dr. Seuss and Maurice Sendak, his undergraduates get second-graders to talk through some deep philosophical questions. 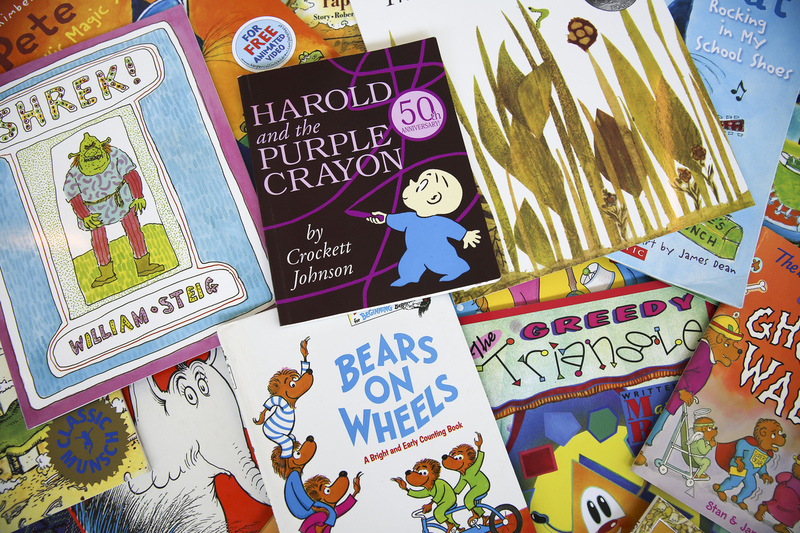 It's one example of a bigger truth: Children's books are amazingly flexible teaching tools. They help millions of kids learn to read and write, of course. But we can also use them to teach kids — and adults — ideas that might otherwise seem overwhelming. Want to teach philosophy? Use Harold and the Purple Crayon. Financial literacy? The Berenstain Bears. Even math is a little easier with help from Pete the Cat. Hina Jawaid took Wartenberg's class in 2010, her sophomore year at Mt. Holyoke. She'd already taken several philosophy classes, and done well. She wrote thorough essays. She got good grades. 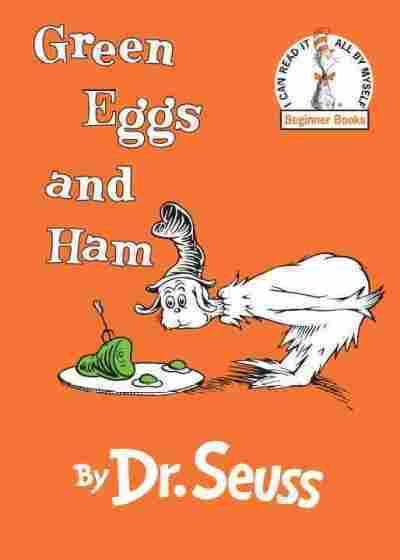 But she found that she understood the material better when she swapped out Kant for Seuss. When talking with second-graders, she says, she could no longer hide behind big words like "epistemology" and "metaphysics," or name-drop philosophers. "I had moments of being like ... 'Oh, that's what that meant,' " she remembers. For example: Immanuel Kant's Critique of Judgement. Kant argues that every human enjoys works of art because our minds are the same, and because both art and nature have a kind of inherent beauty. 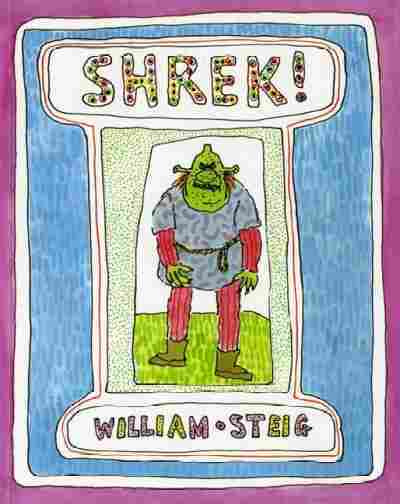 Professor Wartenberg draws a direct parallel between the Critique of Judgement and William Steig's Shrek! Shrek is an ogre who relishes putrid stews but runs scared from adorable children. Eventually, he comes across a hideously ugly princess, and falls in love with her. In other words, Shrek enjoys things others hate, which Wartenberg uses to challenge Kant's idea of inherent beauty. Wartenberg is definitely not suggesting that second-grade teachers sit down with their students and do a reading from the Critique of Judgement. Instead, he suggests that they read Shrek! and other books out loud, and then help kids dive into the issues the books bring up. Can you like things that are ugly? How can people think different things are ugly? Do we only love people who are like us? It's important, he says, that the kids get a chance to answer the questions through discussion. That kind of conversation does more than just stimulate children to think deeply about the books that they read. It also teaches them how to talk. As Hina Jawaid remembers, the kids she worked with improved — "distinctly and exponentially" — during the semester. She says they learned to ask each other questions, to listen, to disagree politely. "These are skills that teachers are supposed to teach but don't always know how," Wartenberg says, "because it's not the sort of thing that has as easy a methodology as teaching mathematics." "Well, maybe that's a bad example," he adds after a second, "Mathematics isn't that easy either." And children's books can be enlisted to make math less intimidating, too. Emily Borgerding teaches first grade at Roosevelt Elementary in Faribault, Minn. Her classroom is full of bright colors and shapes — a wall full of vocabulary words, an ABC rug on the floor and, in the corner, baskets called "book tubs." 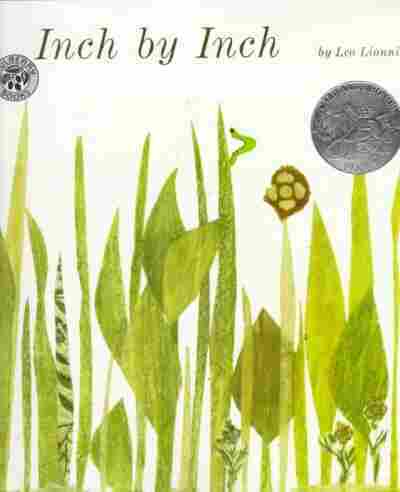 One popular book is Inch by Inch, by Leo Lionni. In it, an inchworm wanders through the world, measuring flamingo necks and toucan beaks. Borgerding reads it out loud to her students, and then has them measure things around the classroom with an inchworm-shaped ruler — tables, chairs, little shapes Borgerding makes out of paper and plastic. It's just one of several books that she uses to teach math concepts, and that students can reread later on. Cameron Turitto, one of her first-graders, says his favorite book is The Greedy Triangle, a book that teaches shapes. In it, a triangle keeps collecting more sides, turning into a square and a pentagon. "The book teaches me stuff I didn't know," he says, "like math facts and shapes." Borgerding notes that many of her students are English-language learners. Her school has a large Latino population, and a large number of refugees from Somalia. "They might not have any idea what a cucumber is," she says, and that makes a word-based subtraction problem involving cucumbers difficult. But, she explains, if they can see a picture of a cucumber and hear a story to go along with it — that makes the problems more accessible. Borgerding also thinks stories involving math, whether it's measurement or shapes, help students retain information: "They can remember, 'Oh that's what's this character did, and that's how they did it, I can do that next time too!' "
An earlier version of this story incorrectly stated that Emily Borgerding teaches at Roosevelt Elementary in Willmar, Minn. The school is in Faribault, Minn.